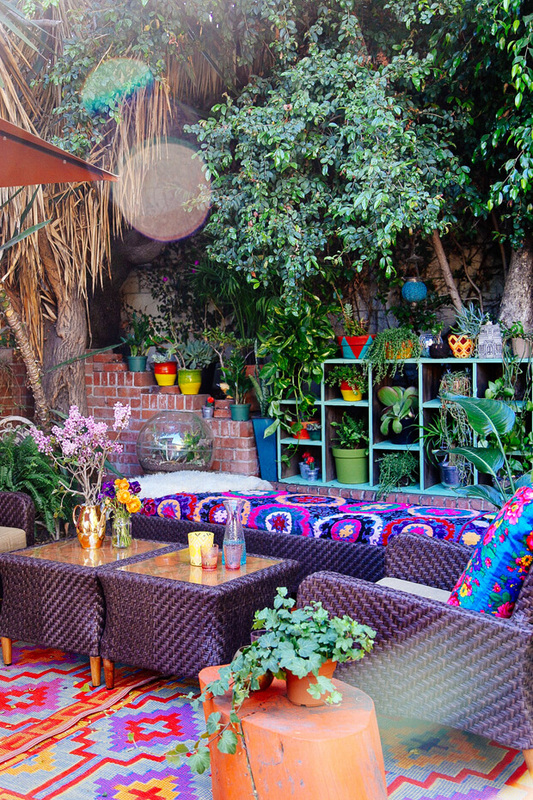 How to create your own perfect boho outdoor styled patio in 6 easy ways. 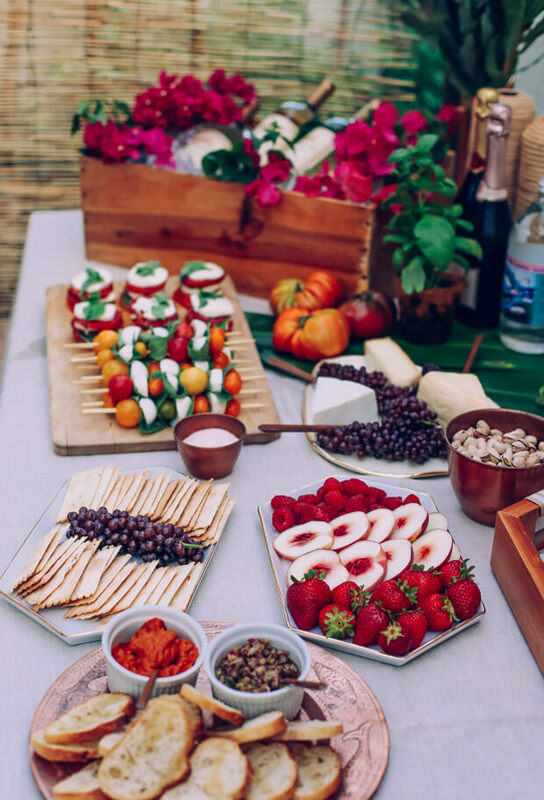 It's time for another home style blog and today it's all about the outdoors! Are you in love with boho decor? 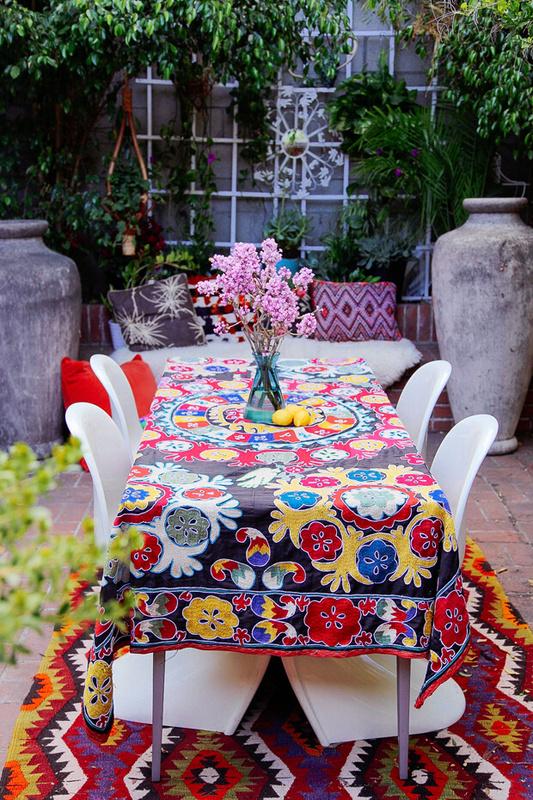 Take your style outside and create your own cozy vibrant boho patio. 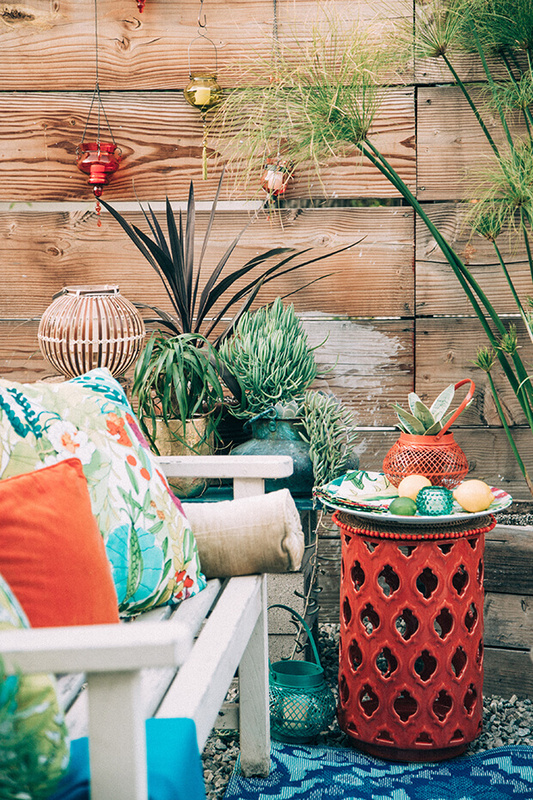 Let's see how you can create your own perfect bohemian outdoor decor in these 6 easy steps. Colors are a must and don't be afraid if the colors don't match. There is no such a thing in boho style. Cover your boring chairs with an overload of pillows in different patterns and sizes. Don't forget to put some big pillows on the floor as well. Warm blankets are also a must for the outdoors. Perfect if you like to hang out late at night and cuddle up warm. Try one of those ethnic blankets. They are a bit heavier, but are better for outside weather conditions. To give your outdoor that real 60s style, drop by a thrift store and look for a low table and some nice comfy chairs. They don't need to match. If they really look worn out you can bring them back to live with a good paint job. Think bright orange or summer yellows. Spoil yourself with an old school reading chair or add a little foot stool to give your legs a rest after a hard day work. For an instant vibe change to your patio add a rug. This is such an easy way to add some hippie spirit to your patio. You can find rugs in so many colors and styles and they are just an awesome addition to your cozy little boho corner. You can go for a beautiful Moroccan style or a more Mexican inspired rug. Did you ever think of hanging one on your backyard wall? This is just an instant vibe changer. If you like a bohemian backyard loads of lanterns are a must. You can place them all on the floor and don't forget to hang a few on the wall as well. Have a look at a second-hand store and search for some old colored glass lanterns. They give such a soft and mellow light. Just make sure they are steady enough to hold on a windy day. Another easy way to brighten up your backyard is by adding some colored party lights to the wall. Any good garden center will have those for you. A very easy way to add some lush greens to your patio is by adding a few big ceramic pots. Think ocean blue or bright orange ones and fill them up with some green. The bigger the better. If you don't have green fingers don't make life difficult for yourself and have some low maintenance plants. Cactus flower plants are perfect as well as succulents. 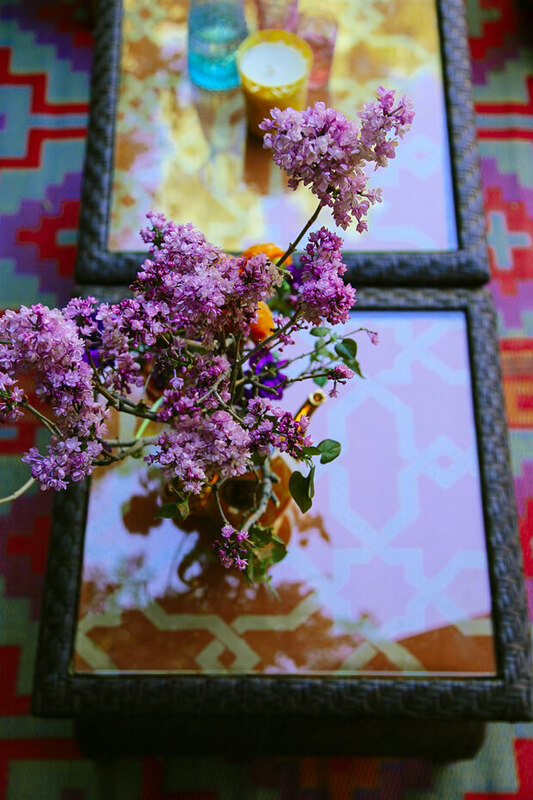 Hope you enjoyed my blog on creating your own perfect boho patio! Wishing you an everlasting summer! Don't forget to sign up for my weekly newsletter to stay up to date for more boho news!